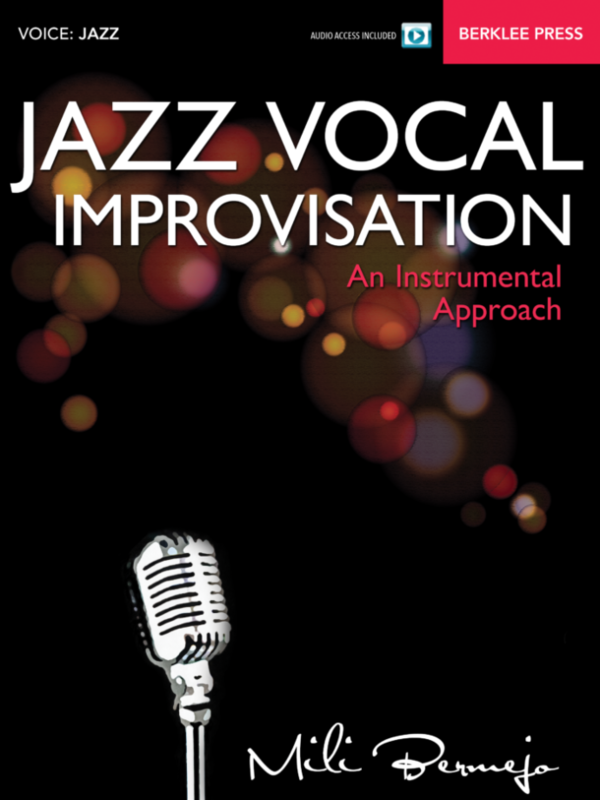 In her book Jazz Vocal Improvisation, Mili Bermejo proposes to approach Jazz vocal improvisation like an instrumentalist. The idea behind it is that, even though you might have great instincts as a jazz vocalist and be able to improvise easily, approaching vocal improvisation like an instrumentalist will bring you several benefits. First, you’ll have a much stronger knowledge of jazz theory and have a better communication with the other instrumentalists, knowing and speaking the same language as them. Also, because of your better knowledge of jazz theory, you’ll be able to build better and richer improvisations, based on your better understanding of structure, rhythm, and harmony. You’ll be able to bring more diversity to your improvisations too. In this book, you’ll be led to a better understanding of several key jazz concepts through listening and practice: swing, anticipation, melody, diatonic and non-diatonic harmony, rhythm, intervals, scales, chords, chord progressions, patterns, etc. A must read if you are serious about building a strong vocal jazz practice. Link to the page of the book.